Great Scott! 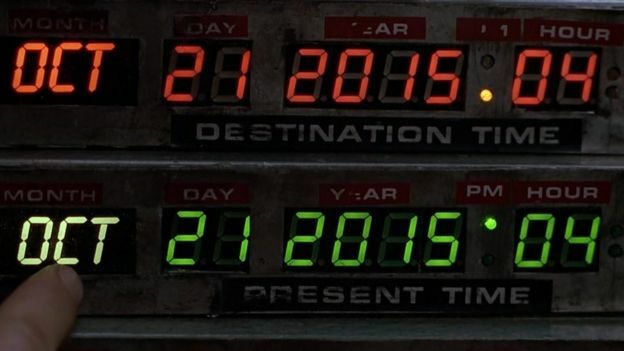 It’s Back To The Future day. Which can only mean one thing – we don’t need roads where we’re going. Actually, we do, but that’s just one of the predictions that Back To The Future II, the 1989 smash hit starring Michael J Fox and Christopher Lloyd, didn’t get right. Fans of the successful Back To The Future franchise, which began in 1985, are getting just a little bit excited. Because today, 21 October 2015, marks the date that Marty McFly (Fox) and Doc Brown (Lloyd) arrived at in the future after travelling through the space-time continuum in Doc Brown’s DeLorean DMC-12 time machine. The famous scene appeared in Back To The Future II. So for the benefit of all those who missed out on one of the most popular films of the 80s, and those who were there but, ahem, have fuzzy memories of it all, here’s what you need to know about Back To The Future’s star character – the DeLorean DMC-12 time machine. I must have missed it – what’s all the fuss about? The original film saw Marty McFly, a young man played by Michael J Fox, accidentally be sent back in time by 30 years. The culprit is his friend, Doc Brown, a nutty inventor played by Christopher Lloyd. Marty needs to make sure his school-age parents fall in love in order to prevent himself being erased from existence. Now Universal Pictures and fans around are celebrating the significance of 21 October, 2015. 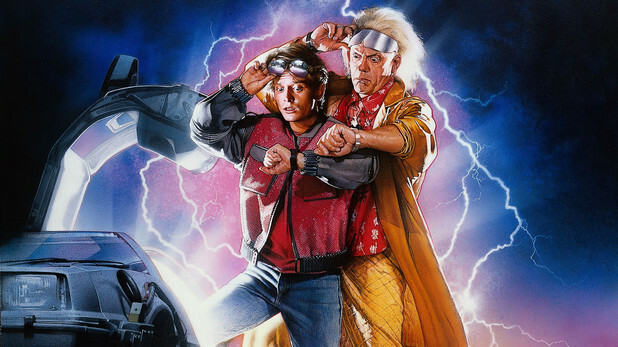 How does the DeLorean sports car fit into the Back To The Future films? For the original film, written in the early ‘80s, the writer and director Robert Zemeckis and co-writer Bob Gale had envisaged using a fridge as a time machine. But then some bright spark suggested that children across the world would climb into fridges – probably not a good idea. At that time, the DeLorean sports car was one of the most hyped cars on the road, mainly down to the futuristic styling and “gullwing” doors that opened towards the sky. Zemeckis and Gale decided that the DeLorean would look great when it travelled back in time to the 1950s. Could the DeLorean DMC-12 really travel through time? Are you serious? No, it couldn’t, but crucially, once Filmtrix, a special effects company, finished with three prop DeLoreans, they looked like they could. They sported a nuclear reactor on the back of the car, above its real V6 engine, which was fashioned out of a hubcap from a Dodge Polaris. A lightning bolt harnessed the power to operate the reactor, which in turn generated 1.21 gigawatts of electricity to propel the car back in time. In later films, a Krups coffee grinder – known as the Mr Fusion – generated energy from household waste to power the reactor. No baristas were harmed during the making of the film. How fast do you have to drive to travel through time, then? Not as fast as you might imagine. A zippy 88mph would take care of things, according to the calculations by Doc Brown. How much would a DeLorean sports car cost now? That’s difficult to answer – they’ll probably be a lot more expensive during Back To The Future day. There are a couple for sale in the UK at the moment, and an especially nice looking restored example for £32,000. That’s not much for a car that will turn more heads than any Aston Martin, Ferrari or Lamborghini you care to mention. Just don’t expect the DMC-12 to be terribly exciting to drive – they were heavy and a bit slow, a bit like Biff, the bully from the Back To The Future trilogy. Alternatively, you could spend a fraction of that and hire a DeLorean DMC-12 for the day. What happened to the DeLorean car company? It blew a head gasket and collapsed in a heap surrounded by steam. And no amount of time travel was going to save it. To get a feel for the scale of fraud and corruption that surrounded the upstart sports car company, and John DeLorean, its founder, watch this BBC Four documentary, Car Crash: The DeLorean Story.